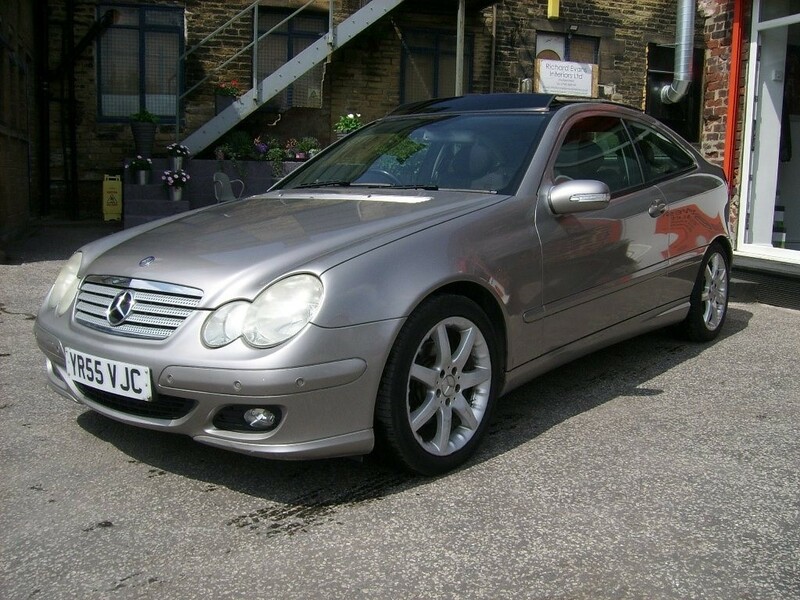 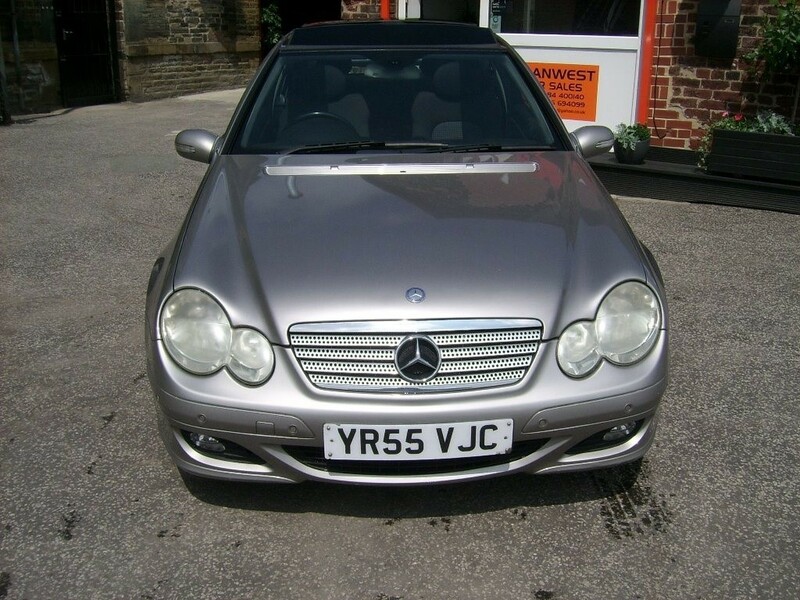 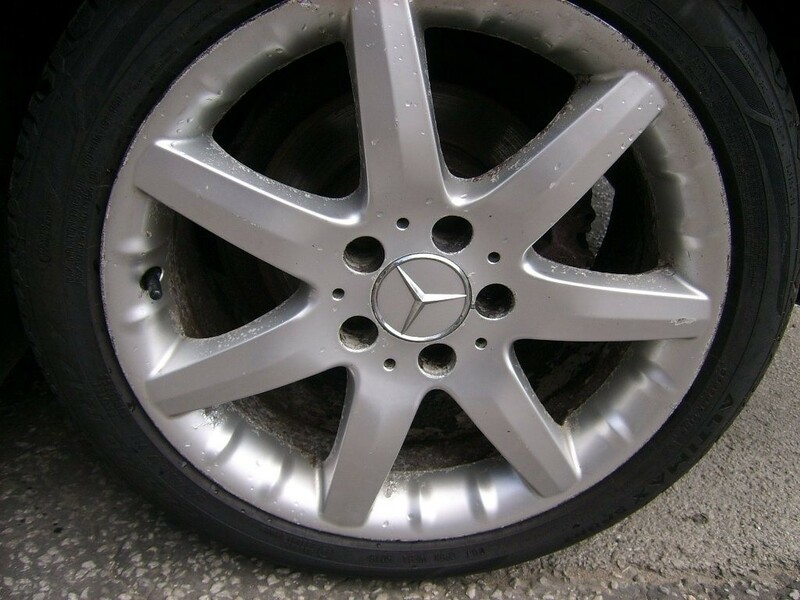 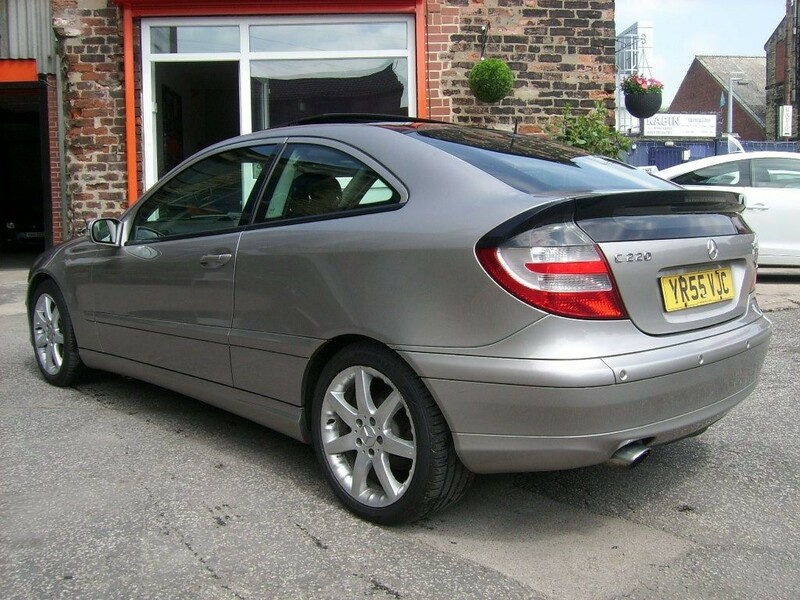 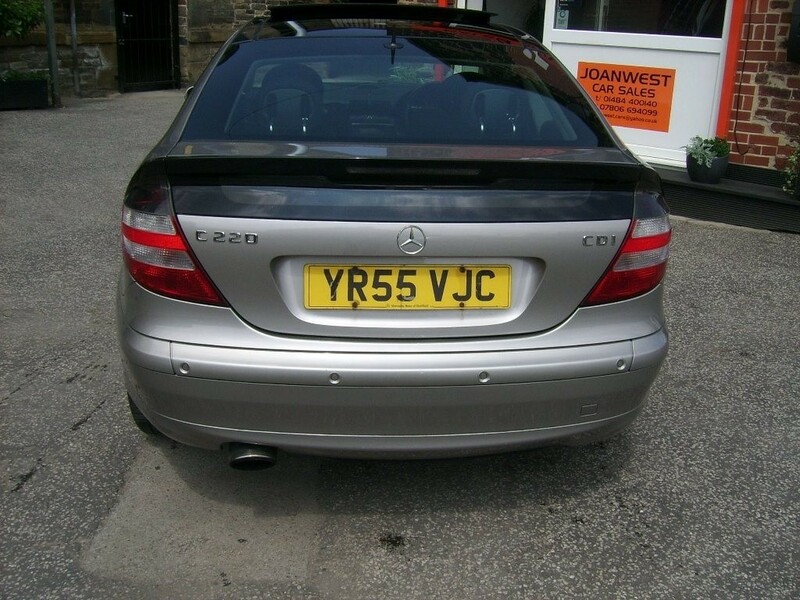 LOOK AT THIS USED MERCEDES C220 DIESEL AUTO COUPE IN SILVER, AT JOAN WEST CAR SALES IN BRIGHOUSE NEAR HUDDERSFIELD. 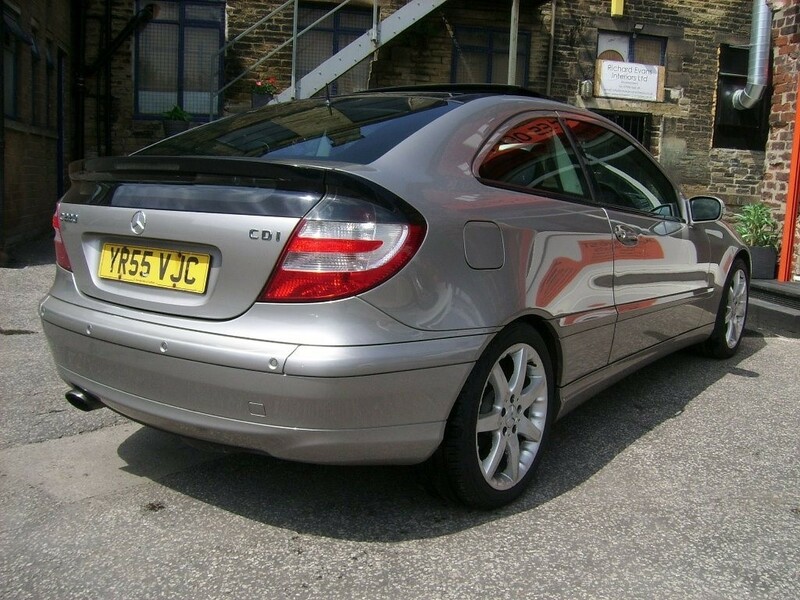 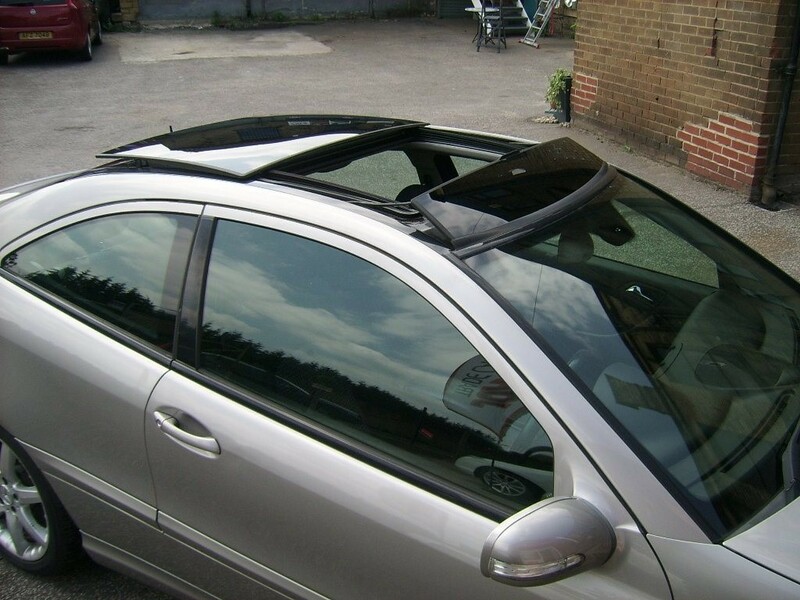 THIS GORGEOUS CAR HAS WONDERFUL SPECIFICATION AND COMES WITH REAMS OF SERVICE HISTORY, WILL HAVE A FULL, CLEAN MOT FOR THE VERY LUCKY NEW OWNER, Upgrades - Panoramic Glass Sunroof, CD Changer, Rain Sensing Wipers, Metallic Paint, 17" Alloys, 4 owners, Standard Features - Automatic Climate Control, Computer, Cruise Control, In Car Entertainment (Radio/CD), Electric Windows (Front), Mirrors External (Electric Heated/Folding), Front Fog Lights, Traction Control System, Sports seats, Power-Assisted Steering, Remote central locking, Electronic Stability Programme, Body Coloured Bumpers, Airbags, Armrest, Alarm. 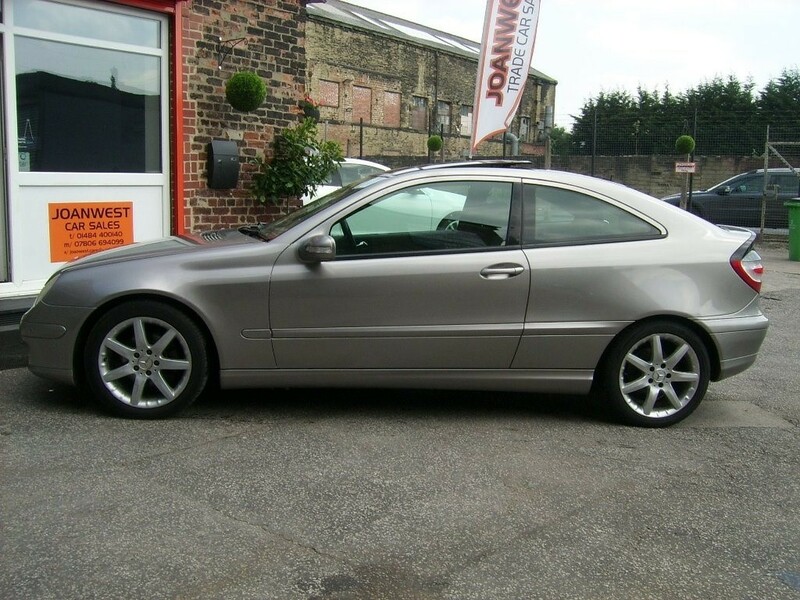 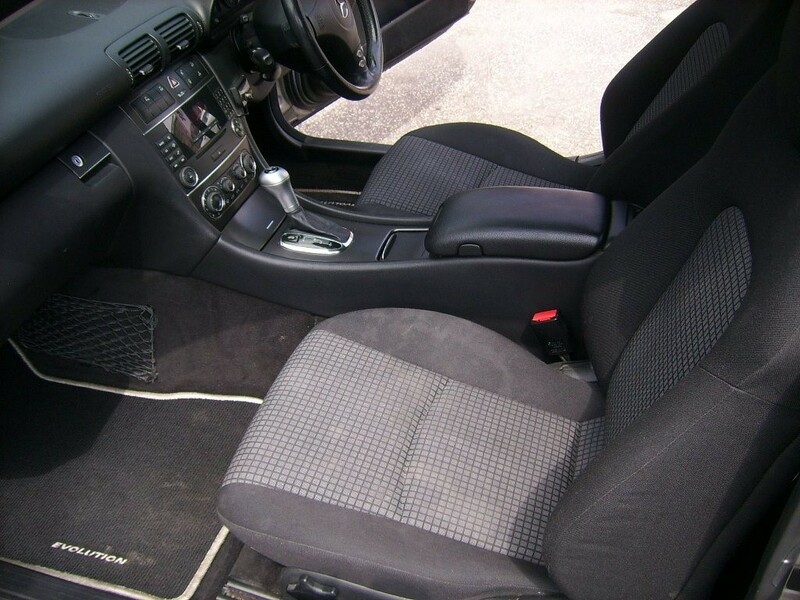 4 seats, Go to joanwesttradecarsales.com for more information on this car and other available stock vehicles, FINANCE FACILITIES AVAILABLE, MAJOR CARDS ACCEPTED, LADY OPERATED GARAGE, 29 YEARS IN THE TRADE, £2,690. 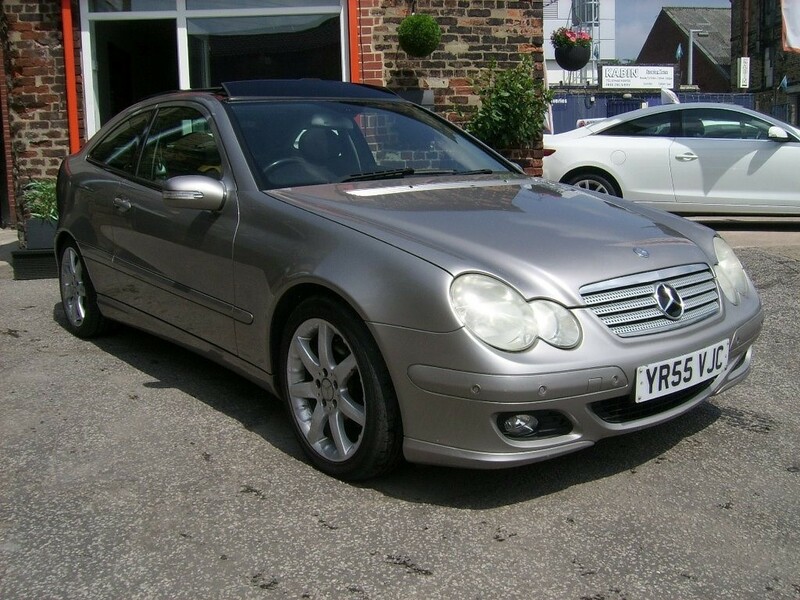 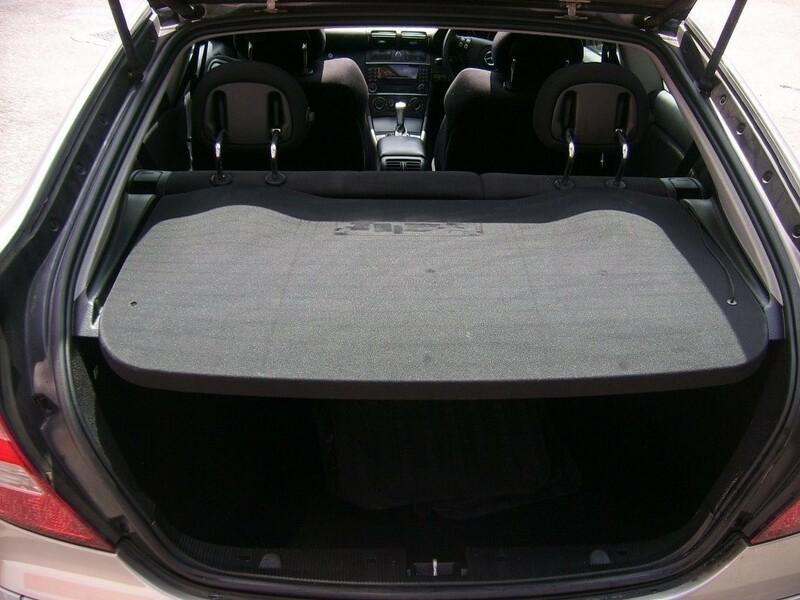 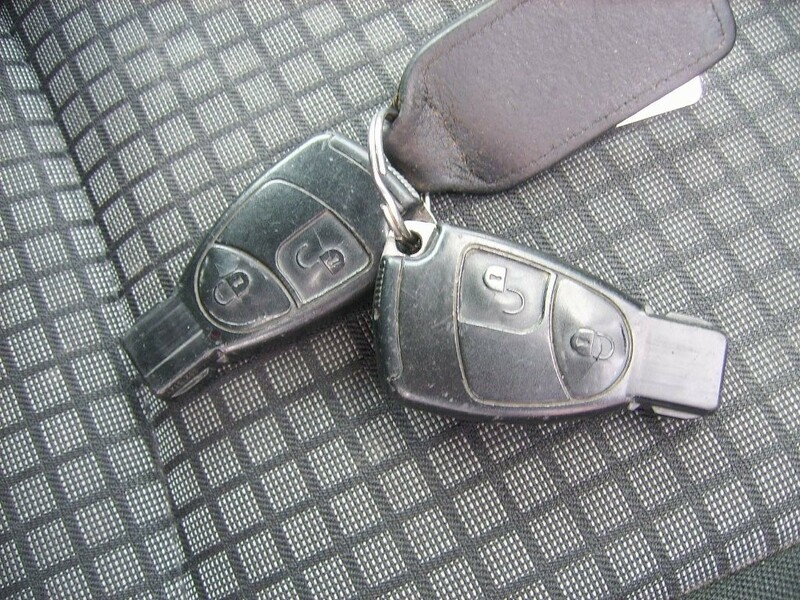 THIS CLASSIC CAR COMES WITH A SIX MONTHS AUTOGUARD SELECT WARRANTY AND TWELVE MONTHS AA BREAKDOWN ASSISTANCE. 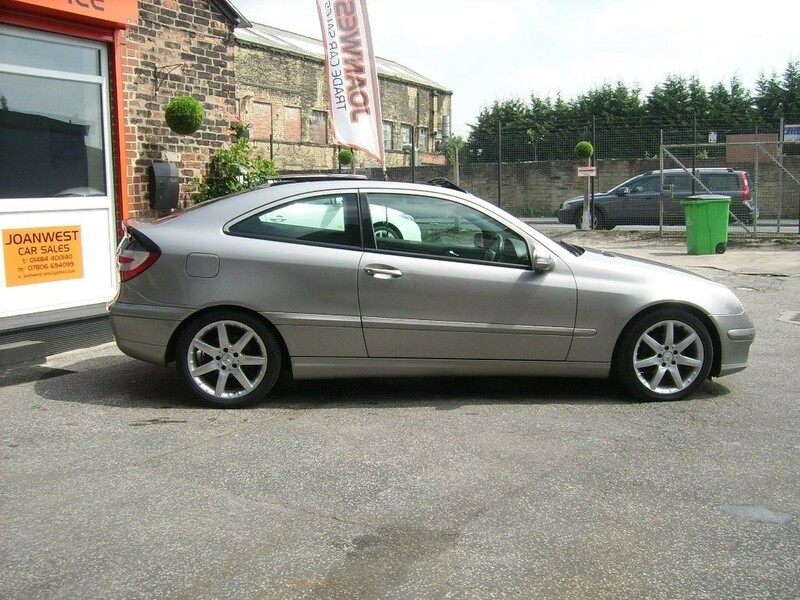 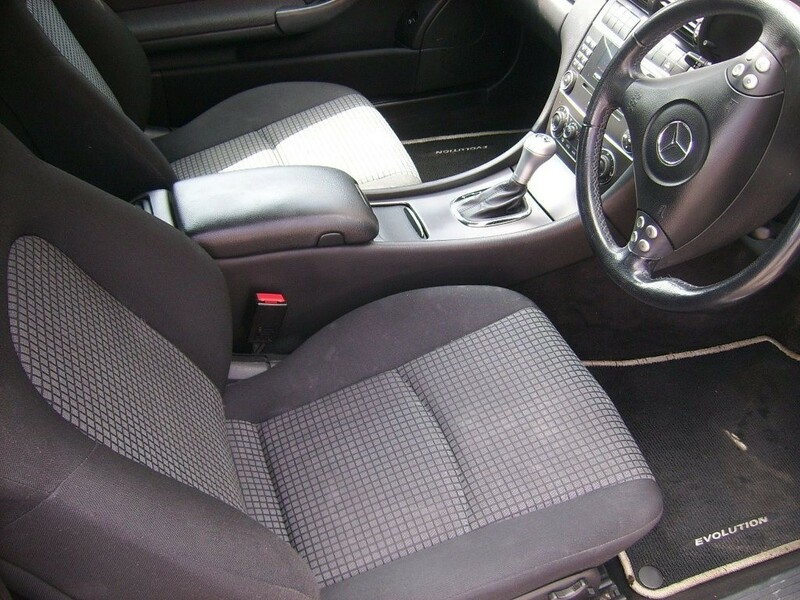 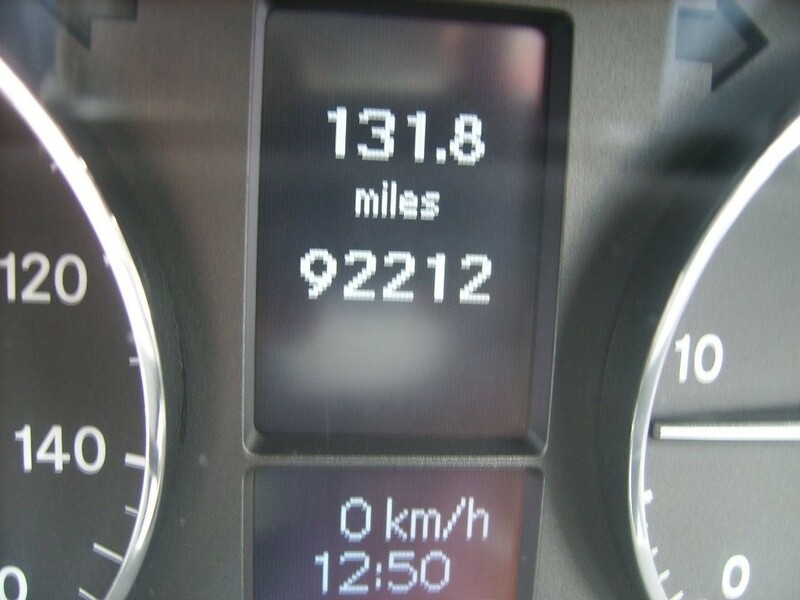 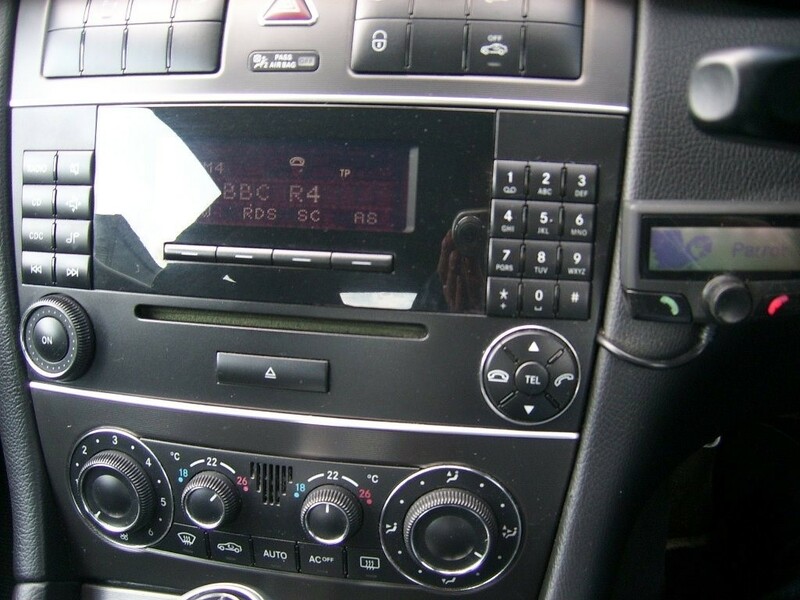 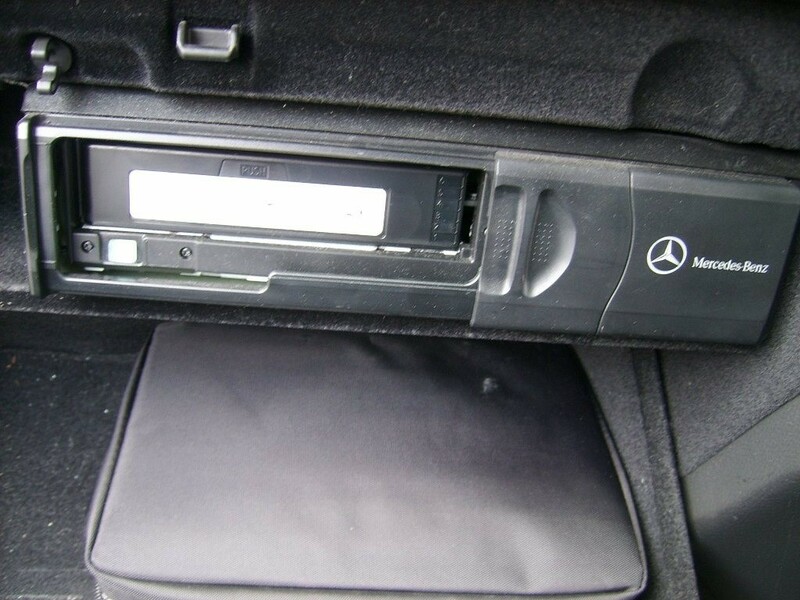 COME AND VIEW THIS USED MERCEDES DIESEL AUTOMATIC AT JOAN WEST CAR SALES AT BRIGHOUSE NEAR HUDDERSFIELD.